Seidr (pronounced “SAY-der;” Old Norse seiðr, “cord, string, snare”) is a form of pre-Christian Norse magic and shamanism concerned with discerning the course of fate and working within its structure to bring about change, which was done by symbolically weaving new events into being. To do this, the practitioner, with ritual distaff in hand, entered an ecstatic trance in order to be able to interact with the world of spirit. There were seiðr rituals for divination and clairvoyance; for seeking out the hidden, both in the secrets of the mind and in physical locations; for healing the sick; for bringing good luck; for controlling the weather; for calling game animals and fish. Importantly, it could also be used for the opposite of these things – to curse an individual or an enterprise; to blight the land and make it barren; to induce illness; to tell false futures and thus to set their recipients on a road to disaster; to injure, maim and kill, in domestic disputes and especially in battle. Two of the Aesir and Vanir deities are noted masters of seidr: the goddess Freya and the god Odin. Both Freya and Odin, in turn, can be seen as the divine models of seidr practitioners among their respective genders. Seidr was a highly gendered activity during the Viking Age, so this distinction is of prime importance. Freya is the archetype of the völva, a professional or semiprofessional practitioner of seidr. It was she who first brought this art to the gods. The völva wandered from town to town and farm to farm performing commissioned acts of magic in exchange for room, board, and often other forms of compensation as well. The most detailed account of such a woman and her craft comes from The Saga of Erik the Red, but numerous sagas, as well as some of the heroic poems (most notably the Völuspá, “The Insight of the Völva“) contain sparse accounts of seidr-workers and their practices. Like other northern Eurasian shamans, the völva was “set apart” from her wider society, both in a positive and a negative sense – she was simultaneously exalted, sought-after, feared, and, in some instances, reviled. However, the völva is very reminiscent of the veleda, a seeress or prophetess who held a more clearly-defined and highly respected position amongst the Germanic tribes of the first several centuries CE. 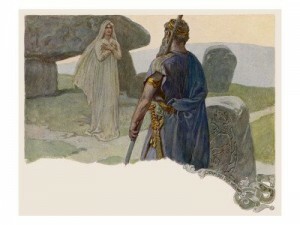 (The veleda was also modeled on a goddess who, over the course of the centuries, became Freyja.) In either of these roles, the woman practitioner of these arts held a more or less dignified role among her people, even as the degree of her dignity varied considerably over time. On the other hand, the sources are clear that, according to the societal norms of the Viking Age, seidr wasn’t a fitting activity for men, to say the least. According to traditional Germanic gender constructs, it was extremely shameful and dishonorable for a man to adopt a female social or sexual role. 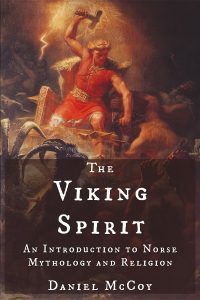 A man who practiced seidr could expect to be labeled argr (Old Norse for “unmanly;” the noun form is ergi, “unmanliness”) by his peers – one of the gravest insults that could be hurled at a Norseman. While there were probably several reasons for seidr being considered argr, the greatest seems to have been the centrality of weaving, the paragon of the traditional female economic sphere, in seidr. Still, this didn’t stop numerous men from engaging in seidr, sometimes even as a profession. A few such men have had their deeds recorded in the sagas. The foremost among such seiðmenn was, of course, none other than Odin himself – and not even he escaped the charge of being argr. This taunt was nevertheless fraught with tense ambivalence; unmanly as seidr may have been seen as being, it was undeniably a source of incredible power – perhaps the greatest power in the cosmos, given that it could change the course of destiny itself. Perhaps the sacrifice of social prestige for these abilities wasn’t too bad of a bargain. After all, such men could look to the very ruler of Asgard as an example and a patron. Orel, Vladimir. 2003. 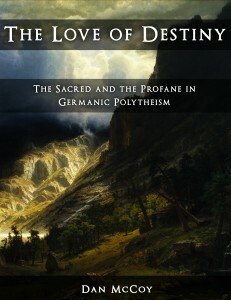 A Handbook of Germanic Etymology. p. 312. Price, Neil S. 2002. The Viking Way: Religion and War in Late Iron Age Scandinavia. p. 64.